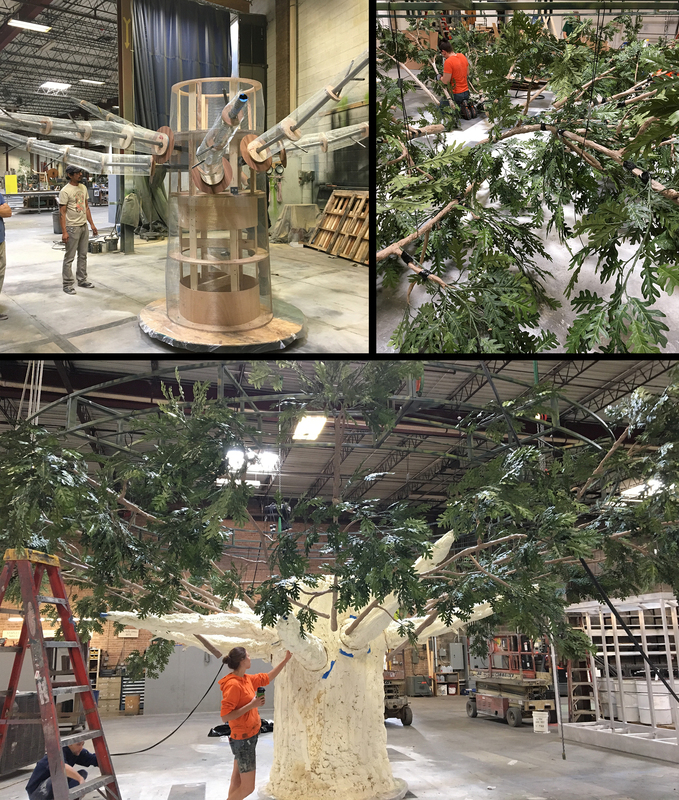 We create a lot of trees for our opera and theater work but this one for Matrex Exhibits was one of the biggest ever. 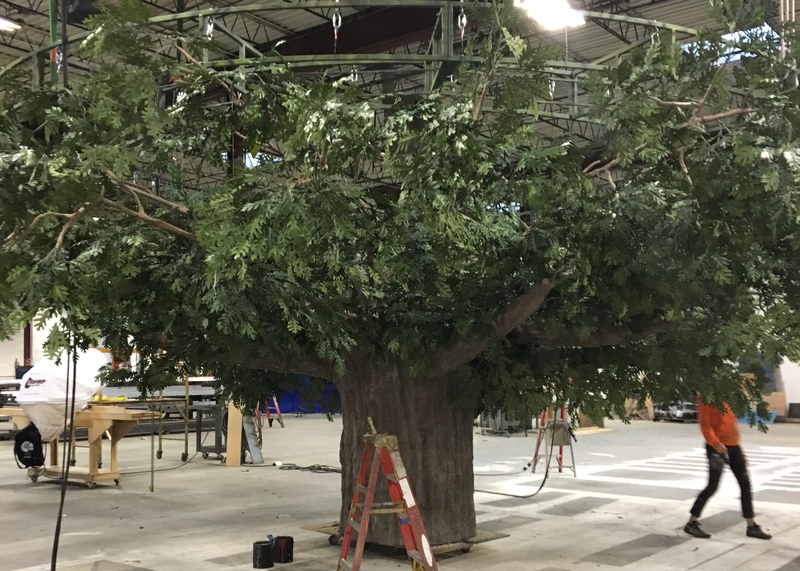 It is 19′ tall with a 30′ wide canopy made up of 500 flame retardant oak leaf branches. We made our own molds for the 6′ diameter trunk which is constructed out of steel and plywood and is covered in polygem foam. Most amazingly, the tree disassembles to fit into six crates when it travels to and from shows.